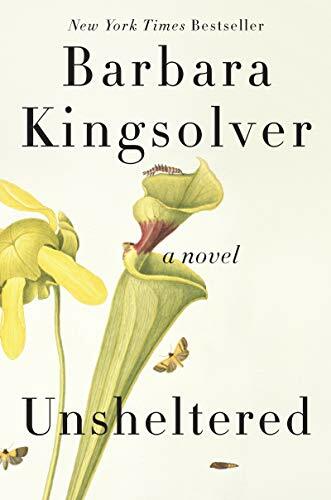 Margaret wrote: I like the cover of Barbara Kingsolver's latest novel, Unsheltered. It's elegant and appropriate to the historical material - a period drawing of a carnivorous plant. Can anyone help me figure out how to include an image in a post? I see where the "image" icon is, but don't know how to grab the image to put inside it. Just copy and paste the image URL. If it's from Amazon, you should be able to right click the image and depending on the browser you're using, select the equivalent of "copy image address" then paste it into the img tags here, or "open image in new tab" and then copy and paste the URL from the address bar. Whew! Thank you, Mythica. Isn't it a beautiful cover? Margaret wrote: Whew! Thank you, Mythica. Isn't it a beautiful cover? Yes, I just saw it at the book store too, coincidentally.